Recently they have performed their popular Schumann/Brahms triangle concert throughout Britain. Performances of trios by Clara and Robert Schumann and Johannes Brahms are interlaced with readings of diary entries and letters to each other. 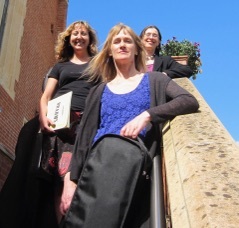 Marina , Miriam and Diana have made it their mission to give 19th and 20th century women composers like Lili Boulanger, Cecile Chaminade, Amy Beach, Germaine Taileferre, Rebecca Clarke and the almost completely undiscovered Johanna Senfter a platform and their concerts mostly include at least one unjustly lesser known female composer. The trio regularly performs and gives masterclasses in Germany where they frequently introduce British composers like Alan Bush, Samuel Coleridge, Taylor Rebecca Clarke and Frank Bridge. They have toured France, Spain and the Baltics. 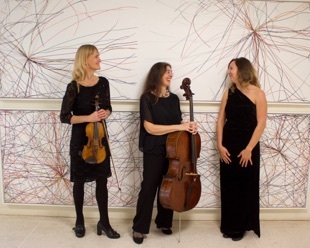 in 2019 the trio will be collaborating with the author Anna Beer, a Fellow of Kellogg College, University of Oxford, whose 2016 celebration and exploration of the achievements of female composers through the centuries, ‘Sounds and Sweet Airs: the Forgotten Women of Classical Music’, was shortlisted for the RPS Creative Communication prize. Together with Anna the trio wants to bring these previously neglected composers’ works to new audiences. This long established group has toured extensively through Britain and Europe. 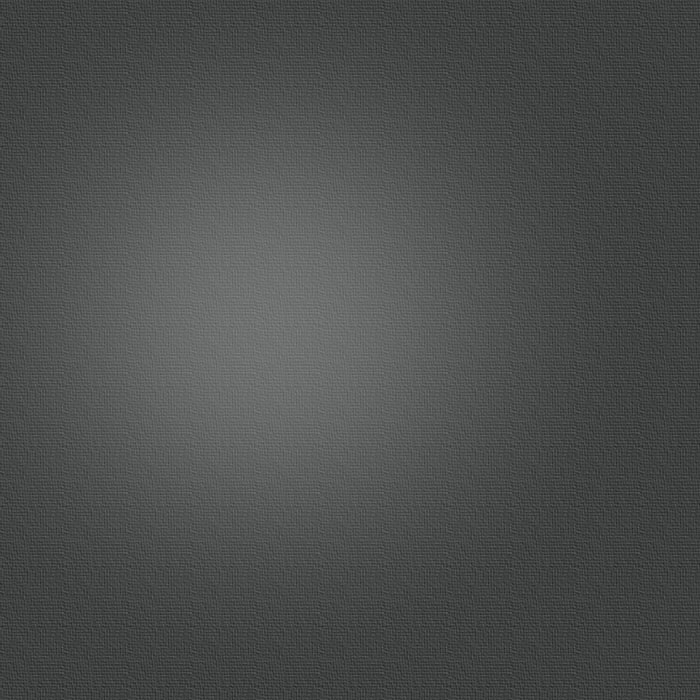 They have given performances at London’s South Bank, St Johns Smith Square and St. David’s Hall, Cardiff. Their concerts are well known for their informative and entertaining introductions. Sparkling performances combined with a friendly convivial atmosphere send audiences home elated.